Oscar Taveras, “the best hitter (the Cardinals) system has produced since Albert Pujols,” had already won two professional batting titles before he turned 20 years old. Taveras is an early favorite for Rookie of the Year for what he can do with the bat, but we don’t know too much about his talents in the field. The scouts on MLB.com seem to think he’ll be a solid Big League outfielder. Here’s a highlight Taveras made this spring, closing on a ball in the gap to end the game. The ol’ “dive-for-the-cameras” move. We’ll have to wait and see if there’s any more where that came from. 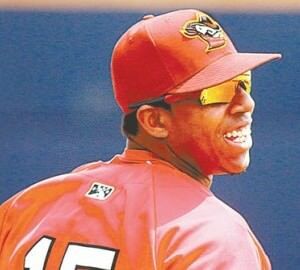 Oscar Taveras wears an Akadema Precision Series AMR 34, the same model that Bryce Harper wore last year (we’ll be updating Harper’s page in the first week of the season). Like Harper, Taveras wears his with his pinky AND ring finger in the pinky stall. Though we didn’t find very obvious photo evidence of this, you can tell that he wears it this way by looking at the feature photo. The part of his hand under his pinky simply wouldn’t stick out that far if he had all of his fingers in the designated stalls individually. I’ve played outfield for fifteen years now and I’ve played it both ways—its really just a feel thing. 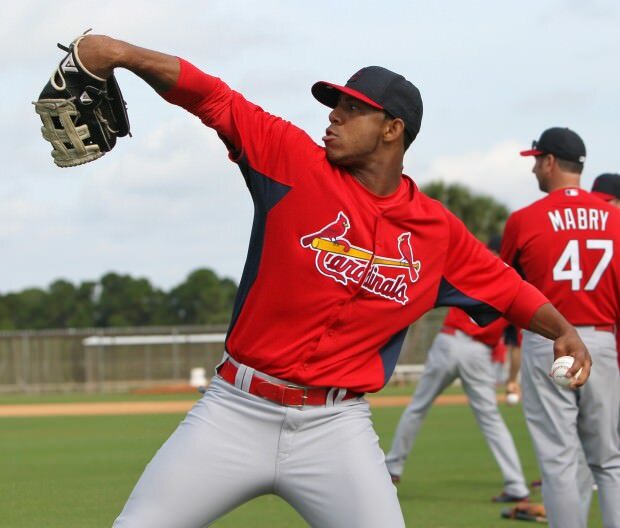 Taveras probably just likes having his pinky and ring finger together because he’s used to it. The one thing I do think it helps with is if your glove is a little stiff and you’d like some extra closing power. 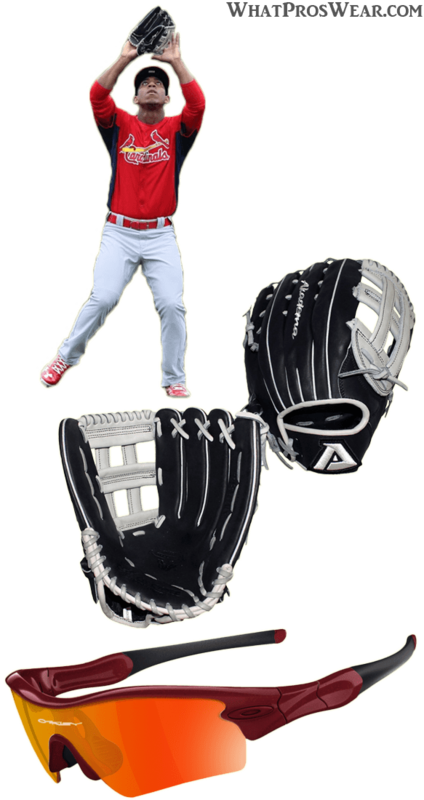 The Akadema Precision Series AMR 34 is available online in Taveras’ colors.